Inside, it’s got one-of-a-kind vintage finds—and taxidermy. 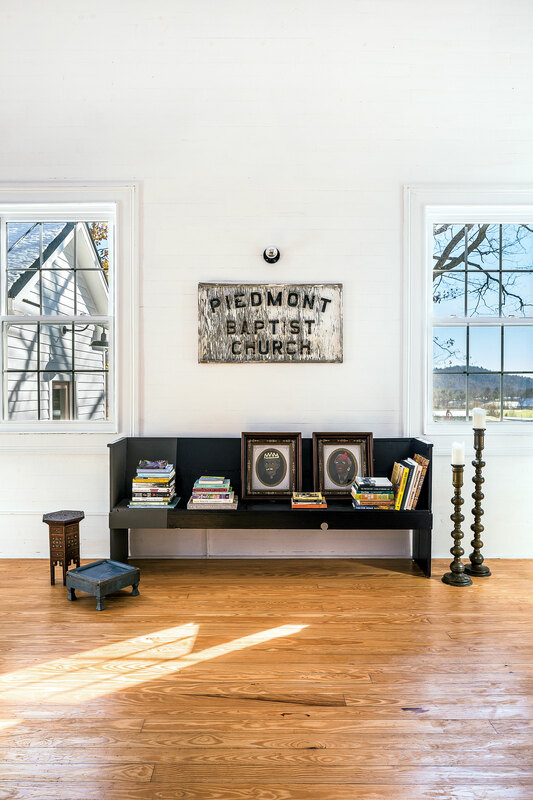 A young family created a fresh, modern home inside an 1800s Baptist church in Sperryville, Virginia. A halfhearted hunt for a weekend place turned serious as soon as Marshall Stowell and Chris Hobbs laid eyes on the little former church with the spectacular view of the Shenandoah Mountains. The couple had gotten to know Sperryville—six miles from Rappahannock County’s “Little” Washington—while visiting friends who also have a house there. They were charmed by its welcoming, down-to-earth vibe. 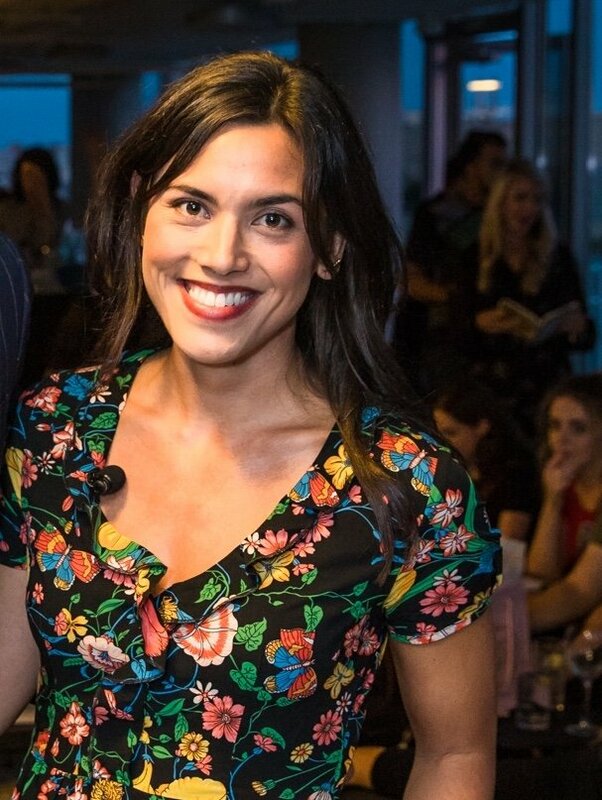 “If Little Washington is like the Upper East Side, Sperryville is like Brooklyn,” says Hobbs, a consultant to philanthropists and social entrepreneurs. The couple made several changes to the residence, including turning the garage into a guesthouse, pictured above. When they bought the church in 2016, it had already been converted into a residence by its previous owner. The man had spent years tracking down the congregation that owned the long-vacant Piedmont Baptist, convincing them to sell it, then fixing it up. 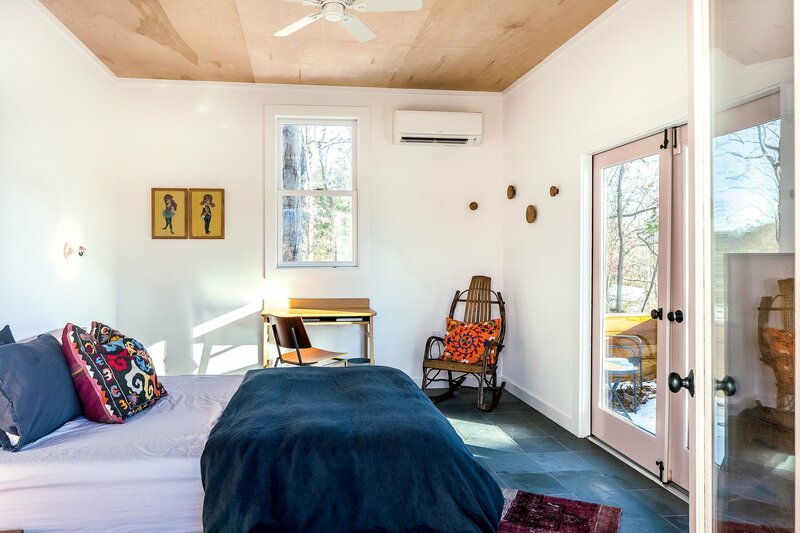 Stowell and Hobbs put their own touches on the place, painting the exterior and interior white—a better backdrop for their collection of vintage pieces and funky artwork—updating light fixtures, installing glass doors to let in more sun, and converting the garage into a guesthouse. During the week, the couple and their three-year-old daughter, Zuri, live in a Mount Pleasant rowhouse, but they now spend nearly every weekend in the country. Zuri calls the former church “the horsey house” because of her many four-legged neighbors. Stowell and Hobbs enjoy taking her hiking in Shenandoah National Park and to nearby swimming holes in the summer. 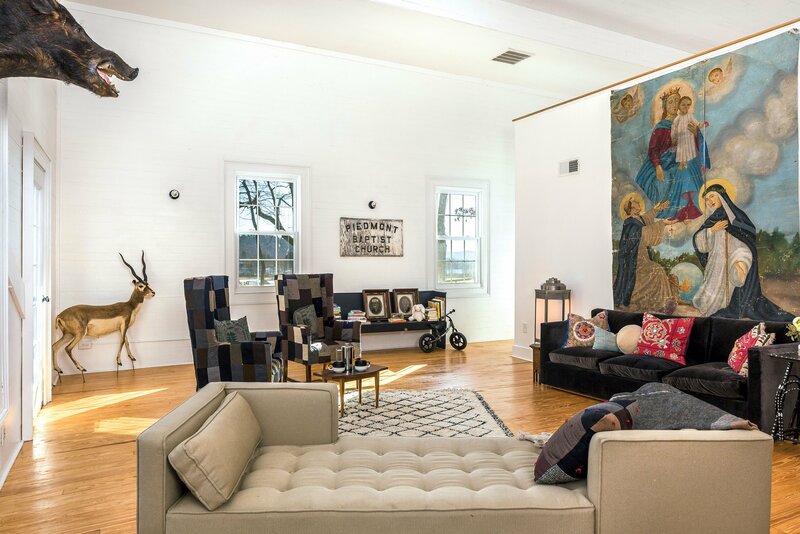 Marshall Stowell and Chris Hobbs decorated the main room with one-of-a-kind pieces such as the vintage tapestry behind the sofa, which Stowell found years ago at GoodWood on U Street. There’s just enough to do: It has a brewery, Pen Druid; a couple of stylish boutiques, such as the outdoor-gear shop Happy Camper; and a craft-cocktail bar, Francis. “It offers a lot for such a little, tiny town,” says Stowell. It’s not too far: From DC, it’s about two hours. The church’s original sign hangs between the windows. The couple with their daughter, Zuri.